“This is what is written: The Christ will suffer and rise from the dead on the third day, and repentance and forgiveness of sins will be preached in his name to all nations, beginning at Jerusalem. You are witnesses of these things” (Luke 24:46-48). “You will receive power when the Holy Spirit comes on you; and you will be my witnesses in Jerusalem, and in all Judea and Samaria, and to the ends of the earth” (Acts 1:8). At Life Action*, we believe that revival is needed in order for the church to fulfill the Great Commission. Think of it this way: When God’s people are distracted by the world and compromised by sin, action pertaining to the vision of God and worldwide transformation is tabled while we cope with divided churches, broken families, rebellious children, indebted households, or unconfessed sin. When we have been ensnared by pride, lust, and greed, the vision of God’s glory in our lives fades away. This lack of obedience saps our ability to give the best of ourselves to the grand and eternal purposes the Lord has in mind for us. Many churches have wonderful strategies, compelling outreaches, and faithful preachers, but still they wonder why their impact on the community is so negligible. Where is the power? Where is the fruit? Where is the Holy Spirit? Why, with all the resources and creativity and staff we employ, is the mission not yet accomplished? That’s why the church needs revival. Individual believers need a new life message before they can go forth with the message of new life. And within that challenge, we also find our hope. It may feel “hopeless” to think of a lost culture repenting before God. But bring that down to a personal level. Can God work in you? Can God transform one life? And if one, what about two? And if two, what about two million? There is hope for our families, even for our world—not because we are great, but because God is. Not because we have a plan, but because God does. So what must we do? We must cry out for revival, in our own lives and in our churches. 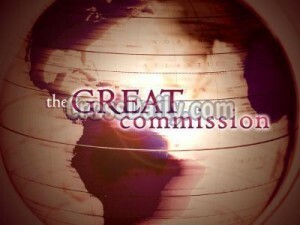 And then we must move forward in daring obedience to the Great Commission. Each one of us can kneel before God and cry out for a refreshing of His presence and His power. Each one of us can draw a circle on the ground and ask God, simply, to send revival inside the circle. When believers begin joining together in such prayers, things really get moving. Suddenly churches are infused with new life and vision. Suddenly the Spirit of God does what no human strategy could ever accomplish. Suddenly testimonies fill the air—restoration, healing, truth, forgiveness, prayer, holiness, salvation, reconciliation, purity, honesty—it all begins. From there, “revival fire” takes on supernatural proportions. Movements of gospel sharing and need meeting and mission sending are ignited. Families, communities, and nations that were once unreached and unloved are now immersed in the presence of God’s light and glory! So to that end, we pray. We lift up our eyes, above the difficulties we face personally, above the struggles our culture might endure, above our own self-interest or local priorities, and we see a larger vision. We see a vast harvest—billions hearing the gospel, millions responding to Jesus. We see God’s will being done on earth, as it is in heaven, for His glory alone. >> I originally wrote this piece as a starter for a Great-Commission-focused issue of Revive Magazine. Read the whole publication here. >> STARTER IDEA: If you are a Christian who is not involved in sharing the love of Jesus across the world, I’d recommend getting involved with India Gospel League, one of the best organizations I know of dedicated to the Great Commission.